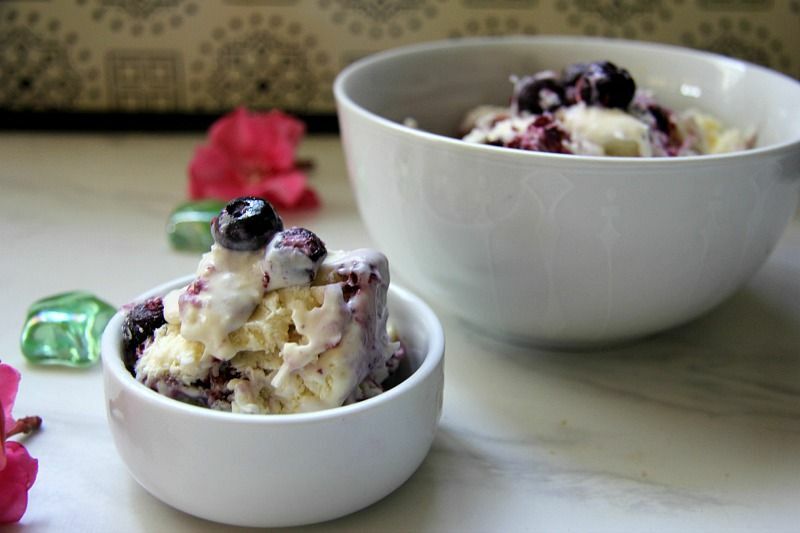 A rich coconut ice cream with mixed berries makes a creamy and tasty ice cream for a warm day. 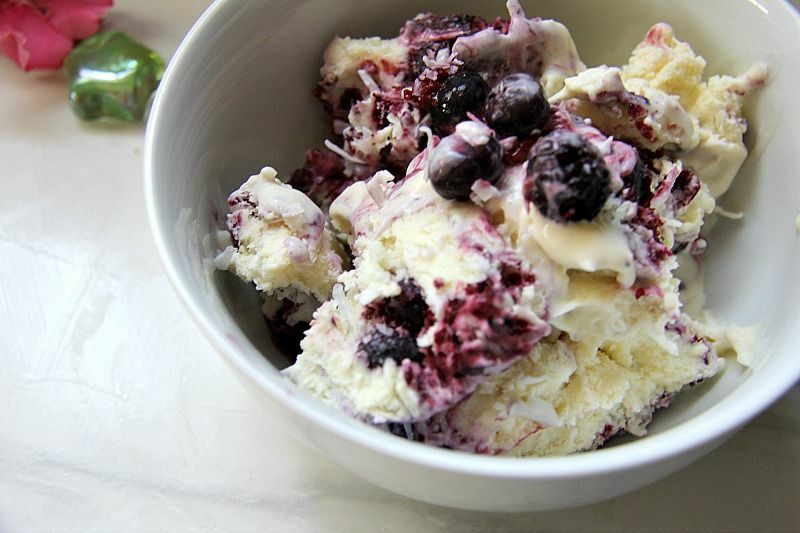 Berries go so well with coconut that I decided to put them together in ice cream. Although I made this coconut ice cream in an ice cream maker (a basic one, nothing too fancy) you could make this by hand. If you do make this without a machine, I would recommend that you make this first thing in the morning, so you have the day to stir the ice cream as it freezes. Left over night without a stir every hour it may be an icy block and less creamy. I tend to favour the custard method of making ice cream as it’s worked for me well so far. There is also a great no churn ice cream I have in the vaults, so I need to revisit that with other flavours one day. We have a great ice cream parlour here in St Lucia which has some amazing flavours. They change regularly too which means I need to pop in every month for inspiration. Yes, let’s call that the reason I visit. 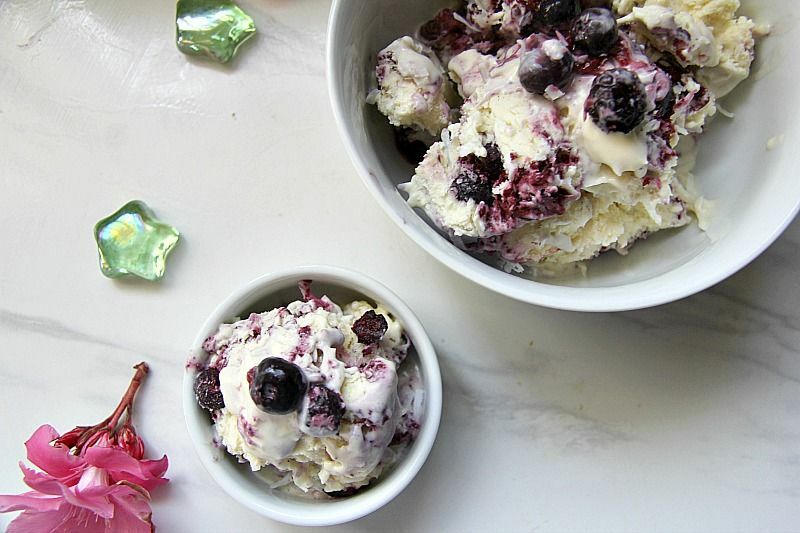 I used a bag of mixed berries for this coconut ice cream recipe as I wanted an additional flavour to go with the coconut. Plus, the supermarket had a great deal on a bag of mixed berries which helped push the decision. The chewy coconut gives this coconut ice cream an added texture as well as flavour. I could have melted this down and drank it like a healthy shake. Which nearly happened as the ice cream started to melt fast as I was trying to take photographs of it. The downside of living somewhere warm is that ice melts quickly. 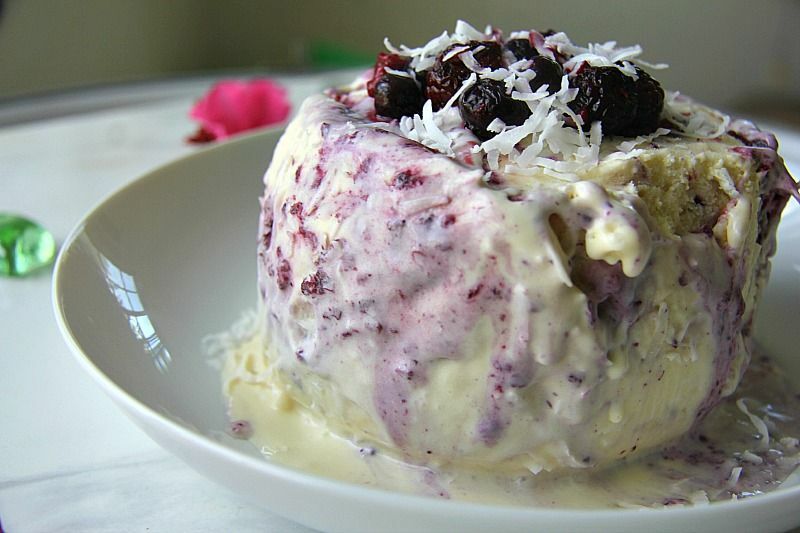 A delicious flavour combination of mixed berries and coconut in this ice cream recipe. As the cream is heating, whisk the eggs, vanilla and erythritol together. 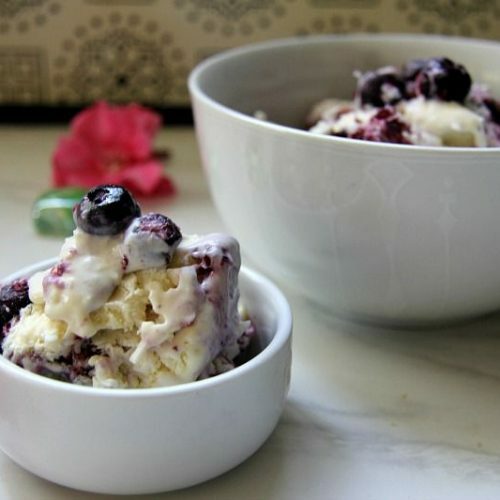 Stir in the berries and coconut,then pour into the canister of an ice-cream maker and churn according to manufacturer’s directions. If you don’t have an ice cream maker, spoon the ice cream into an air tight container and place in the freezer. 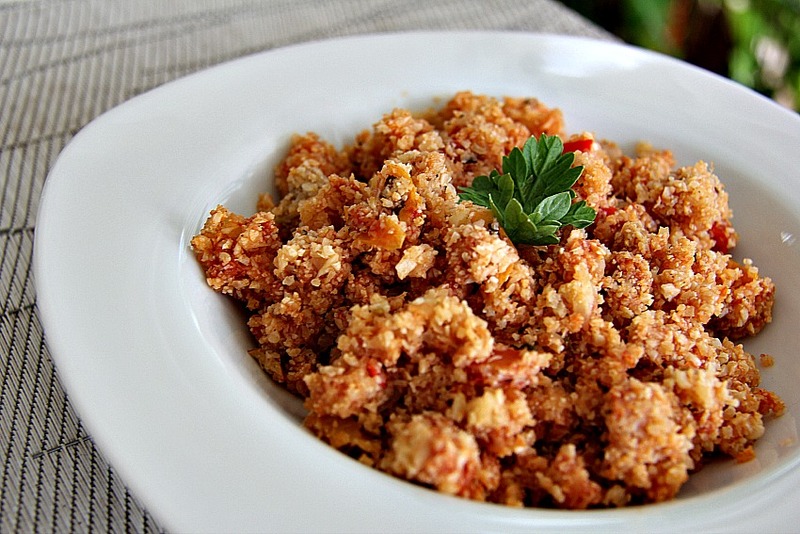 Remove every 30 minutes to stir to distribute the ice crystals until frozen consistency is obtained. Can take about 4-5 hours. Your photo of the icecream looks like there is cake in the icecream . Top right hand corner. 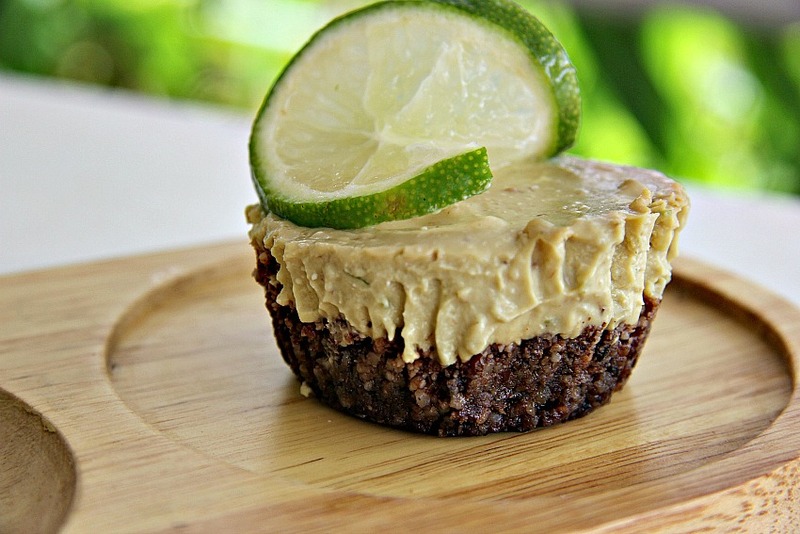 There is no mention of cake in the recipe. I wish that there was cake in it! Now, that’s an idea! It’s probably the texture of the coconut you are seeing.